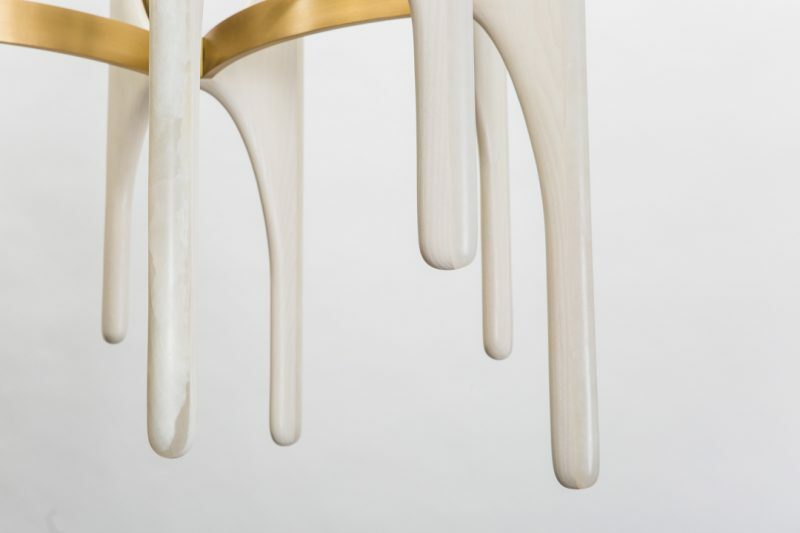 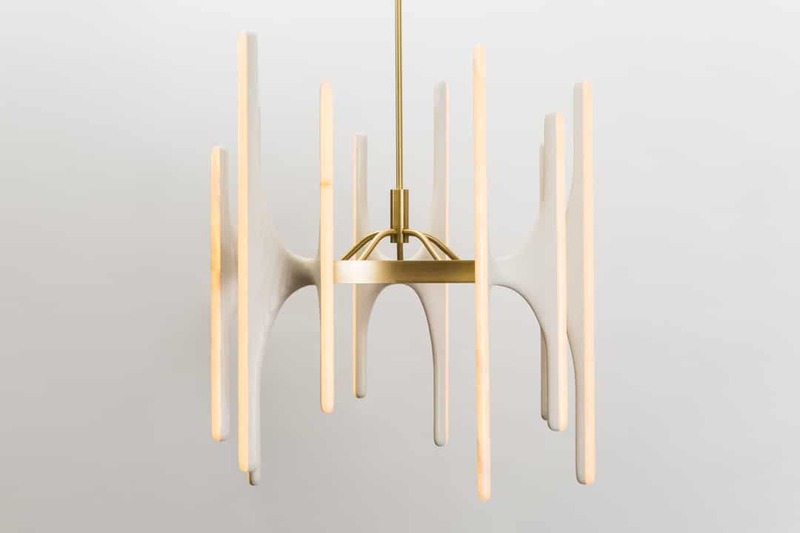 Inspired by nature and the human form, Markus Haase’s newest custom chandelier is composed of five, hand-sculpted, bleached ash “branches” embedded with hand-carved white onyx encasing dimmable LED lights. 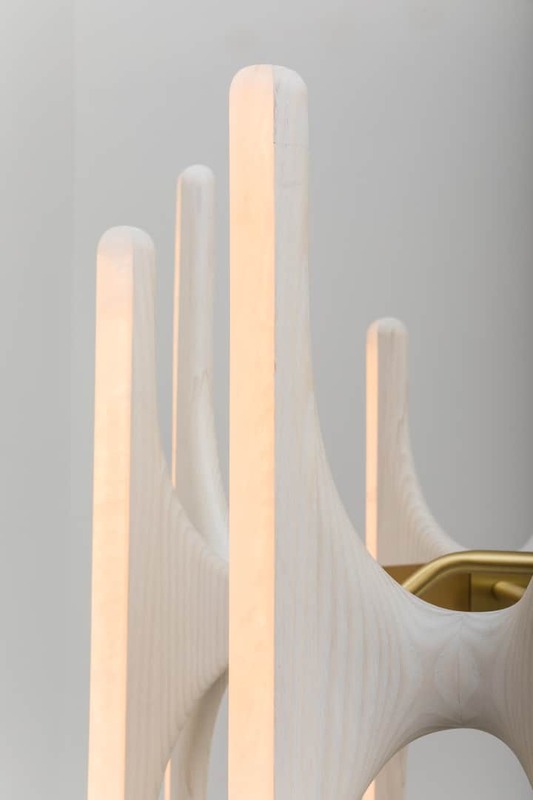 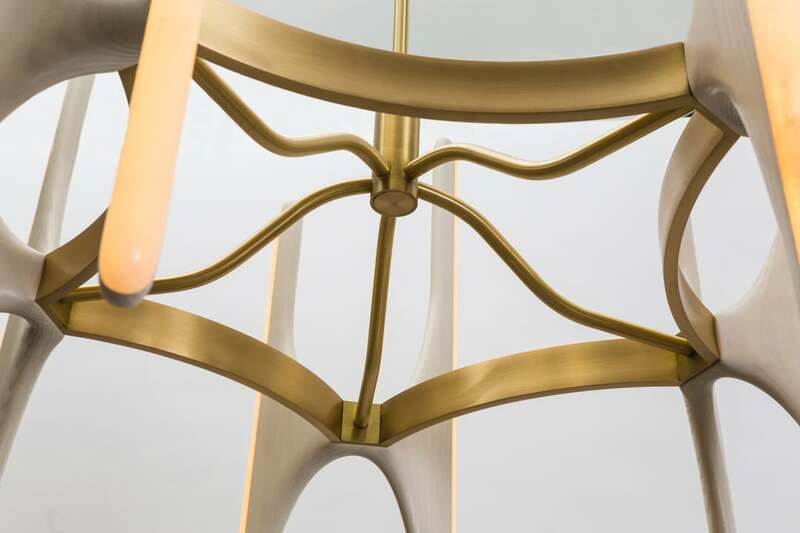 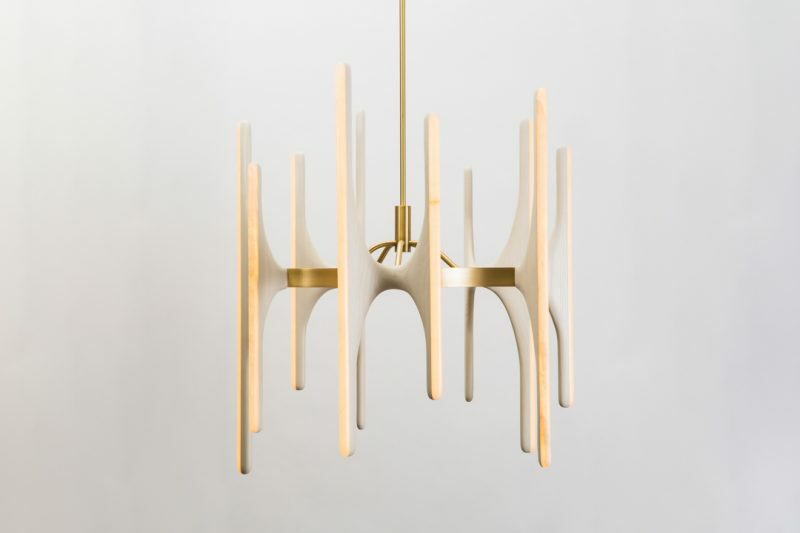 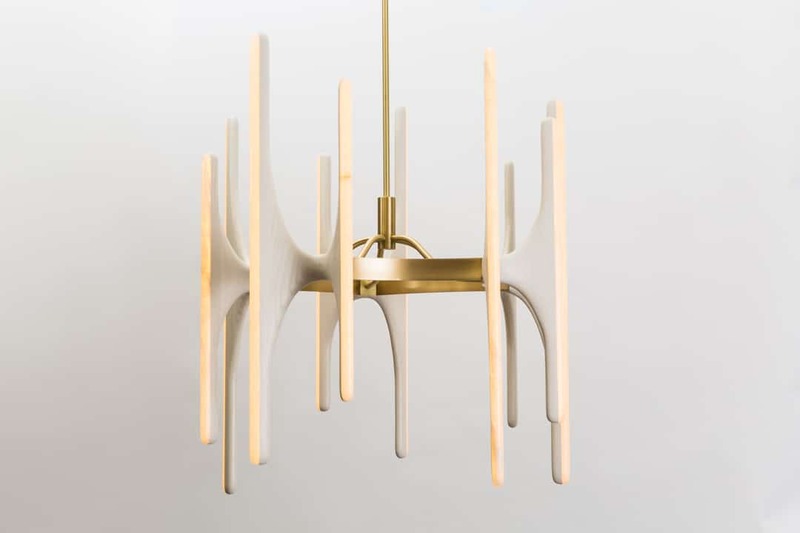 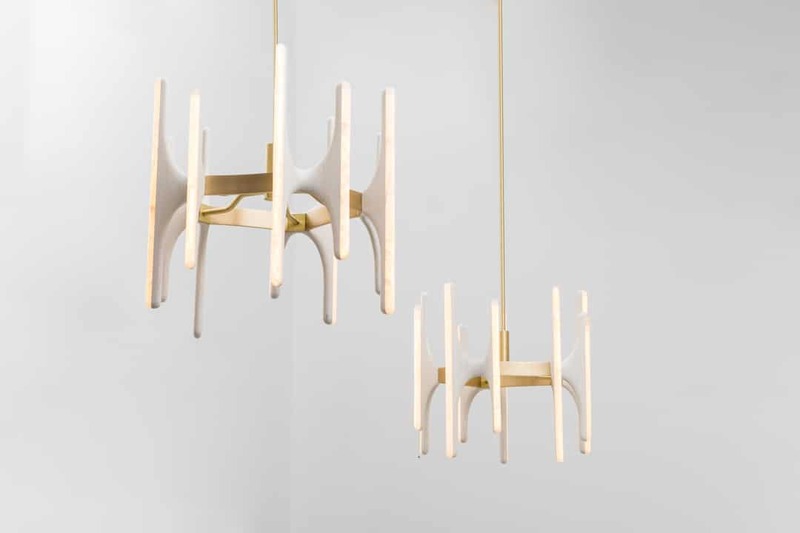 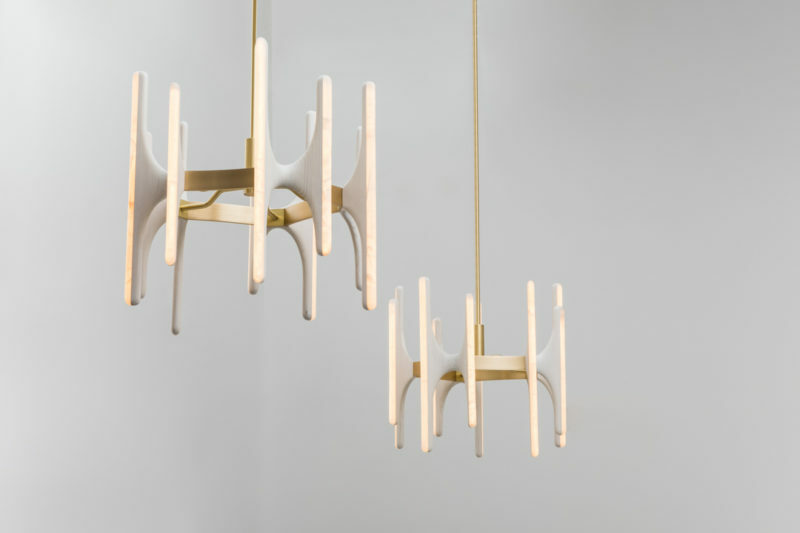 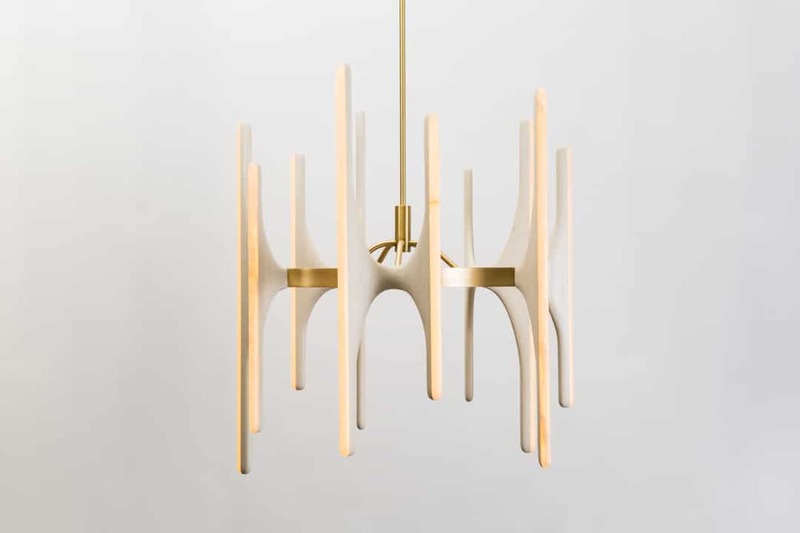 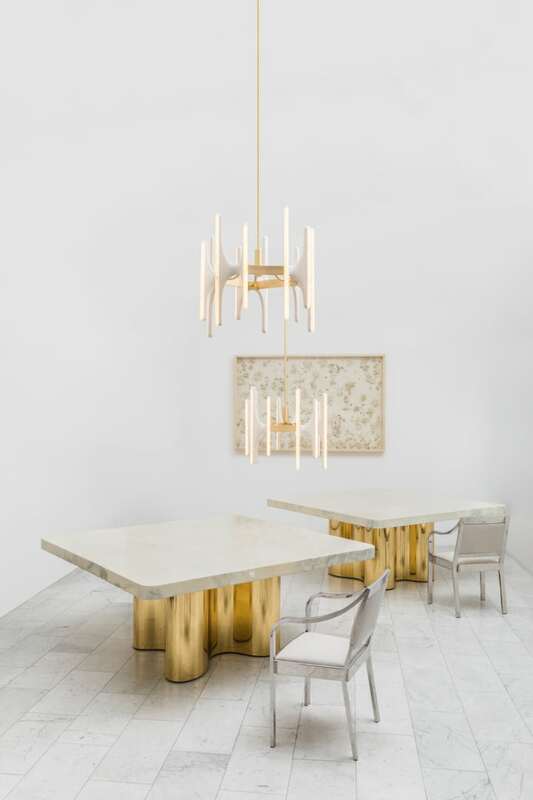 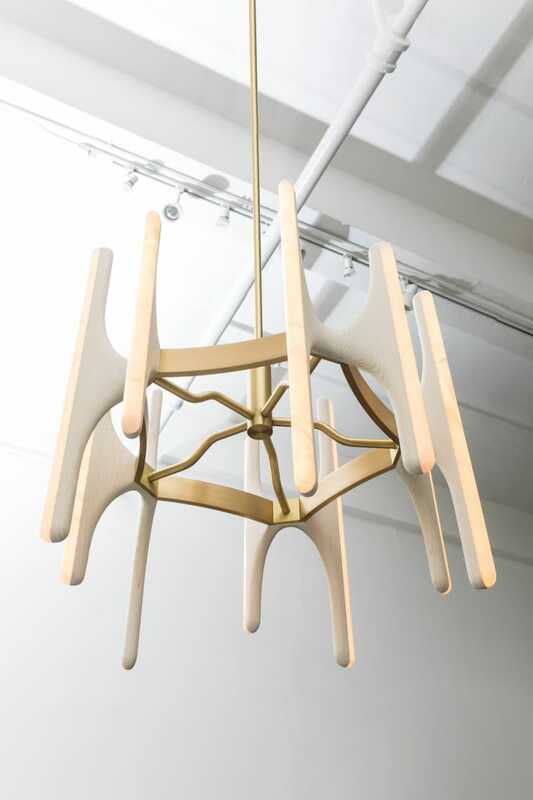 Suspended on a scalloped, diamond-shaped satin brass center structure, the arms offer a warm, perennial glow as the LEDs emit light softly through the stone. 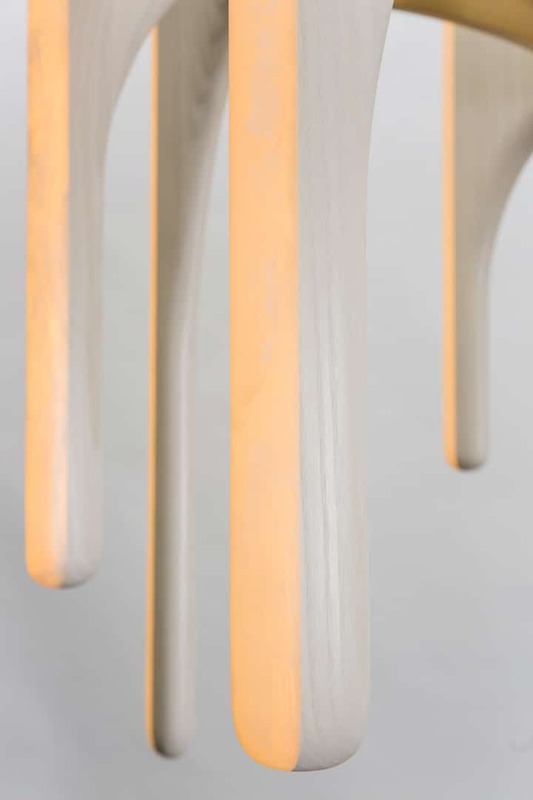 Even unlit, the unique light sculpture retains its luminescent quality. 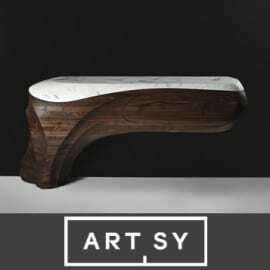 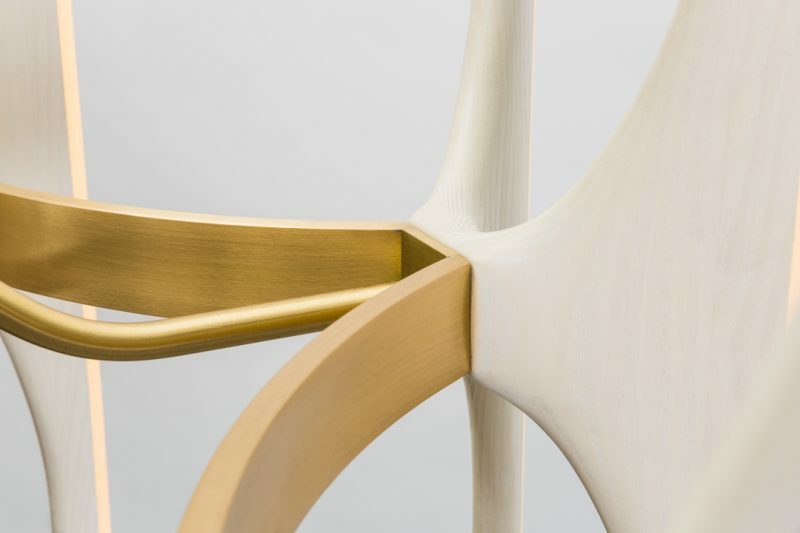 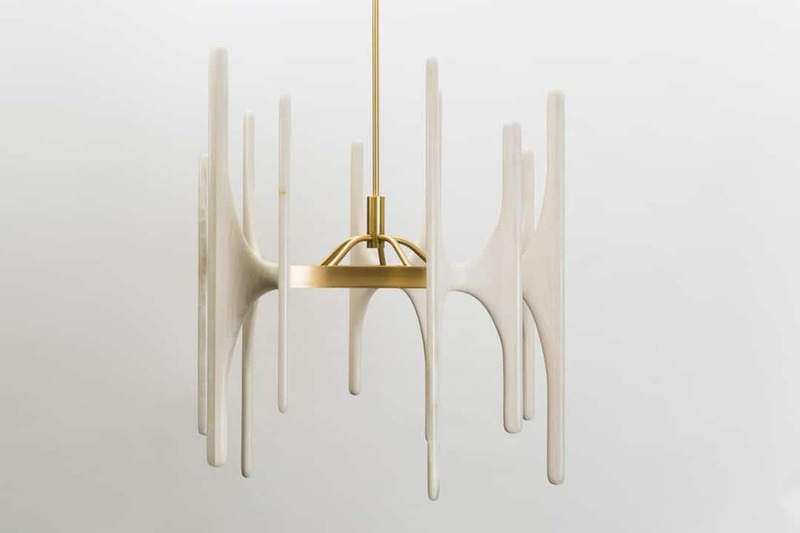 Seamlessly combining stone and wood in fluid compositions, a bespoke version of Haase’s custom chandelier may be created with custom sizes and materials.